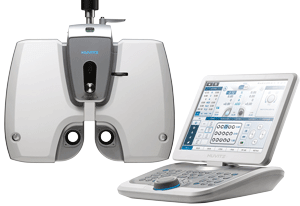 Coburn’s digital refractors are EHR ready and may help the eye care professional take care of their patients’ needs quickly and efficiently. It saves time and prevents shoulder discomfort by removing the need to manually adjust the equipment during exams. The users can avoid medical treatment for shoulder pain by purchasing a digital refractor. Request more information about our digital refractors today by calling 1-800-262-8761 or filling out this form. 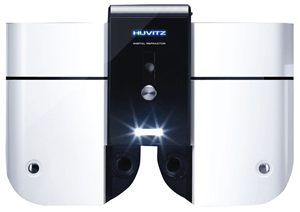 The Huvitz Digital Refractor CDR-7000 provides precise and variable data adopting highly advanced digital technologies. 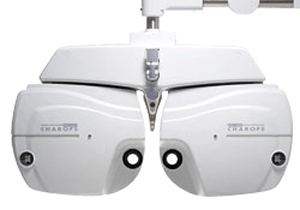 Ensures correct visual acuity tests and also allows the user to perform the sophisticated tests such as the binocular visual functional tests, presbyopia tests and more. 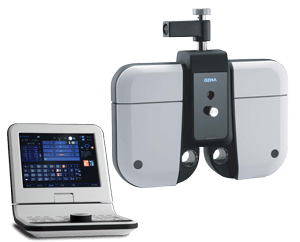 The OZMA CDR-9000 Digital Refractor offers more precise basic and sophisticated exams with a variety of vision tests. Its luxurious design and intuitive graphic interface meets the highest requirement of aesthetic and functional comfort. Take advantage of this high quality product at an affordable price.